One of the nineties' most notorious narratives! It was a day unlike any other, but in which timeline? 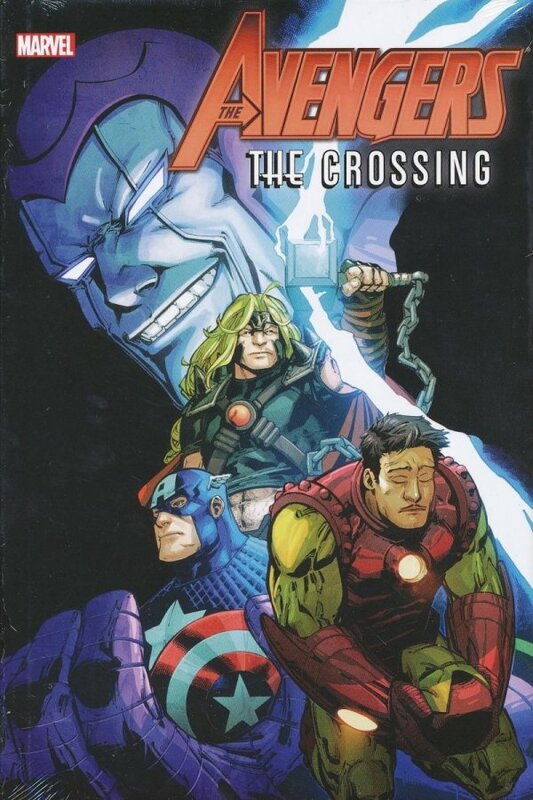 Warriors from the future and secrets from the past abound when Kang the Conqueror appears to set the Avengers and Force Works against each other in a game for a prize no one can imagine! Starring Iron Man, War Machine, Crystal and Quicksilver, Hawkeye and the Black Widow, Hercules, the Vision and the Scarlet Witch, Dr. Doom, and more! Collecting AVENGERS (1963) #390-395, AVENGERS: THE CROSSING, AVENGERS: TIMESLIDE, IRON MAN (1968) #319-325, FORCE WORKS #16-22, WAR MACHINE (1994) #20-25 and AGE OF INNOCENCE: THE REBIRTH OF IRON MAN.